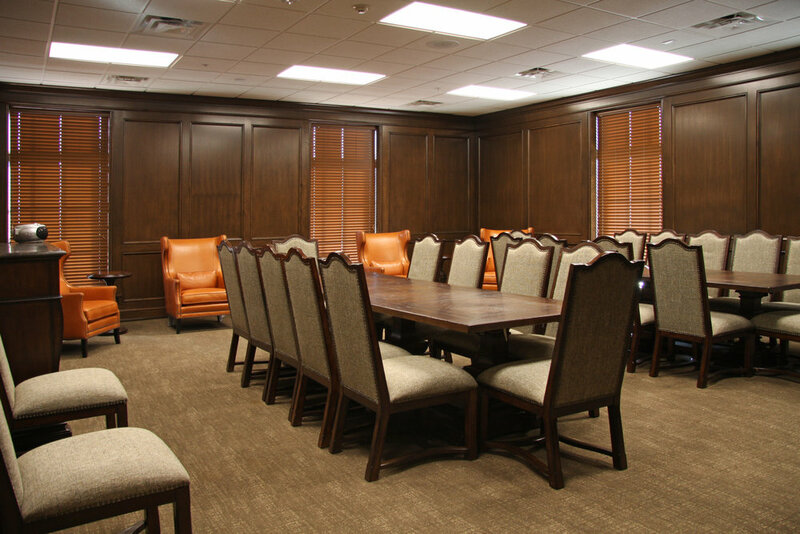 CMSWillowbrook built the new AGR Fraternity House on the Oklahoma State University campus in Stillwater, OK. 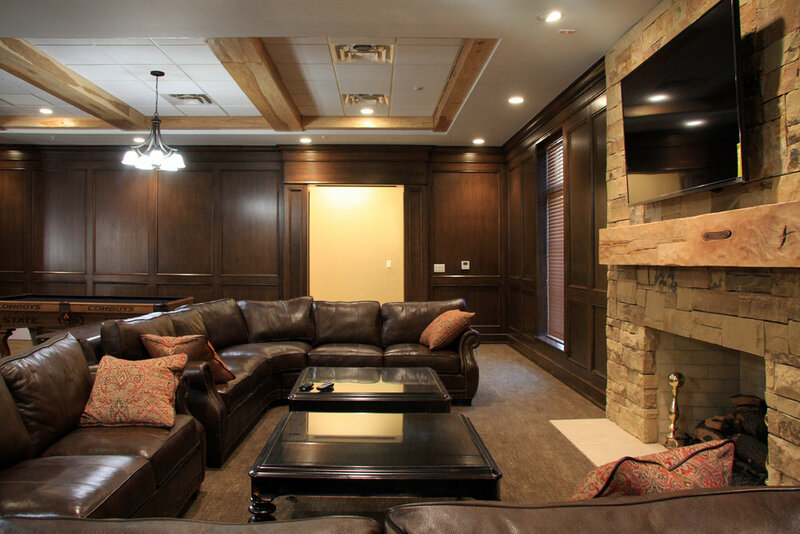 The project began with demolition of the existing two story structure and the subsequent rebuild of a four story (basement and three vertical levels) Fraternity house on the existing lot. 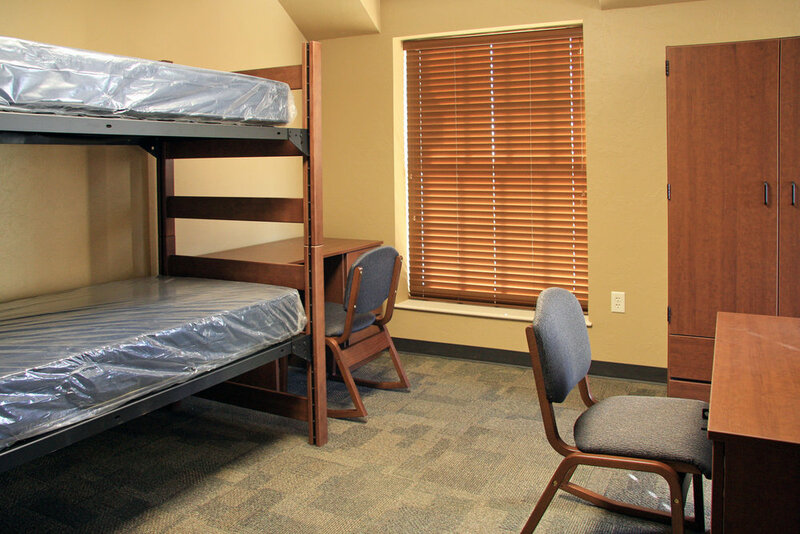 The basement consists of new chapter room and laundry facilities. 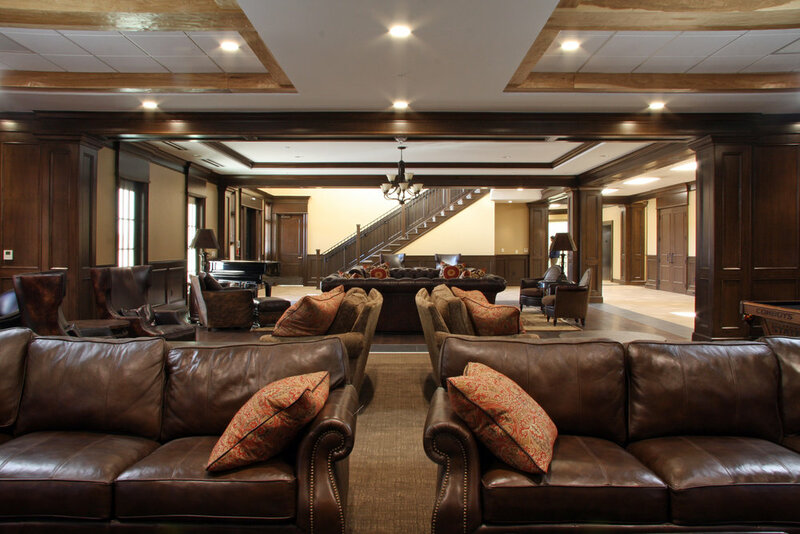 The first floor consists of extensive oak millwork and wall paneling with tile and hardwood floors as well as a half court basketball gym. Upper levels consist of suite-style living quarters and restrooms with highly efficient variable refrigerant flow air conditioning throughout as well as all LED lighting.